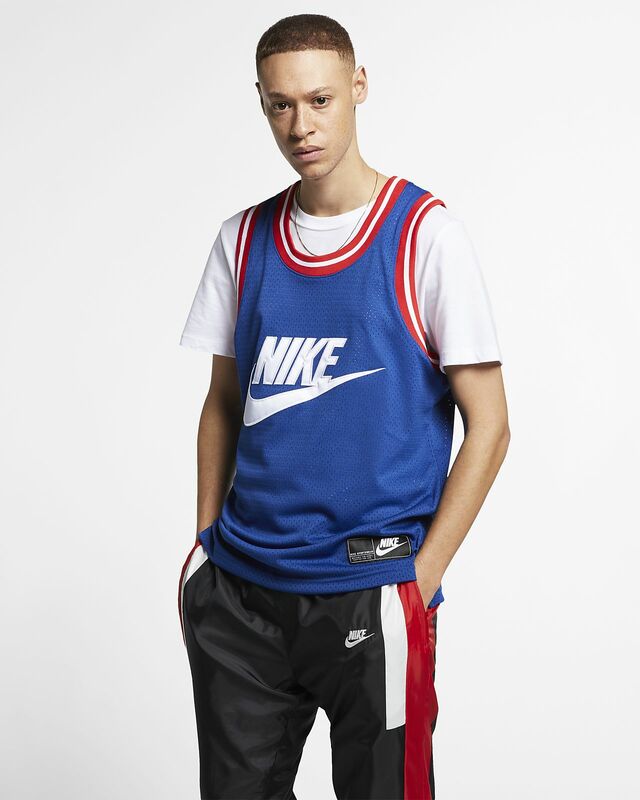 Jersey culture gets taken to a new level with the Nike Sportswear Tank. Its colors match versions of iconic Air Max shoes, while hoops-inspired mesh fabric gives you breathable comfort. 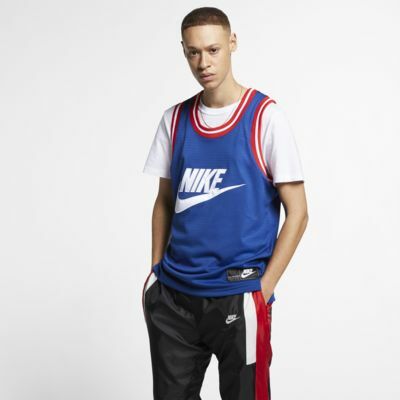 The design is inspired by basketball jerseys. Mesh fabric provides breathable comfort. Contrast ribbing at the neck and armholes mimics classic basketball tops. Some colors emulate our iconic lineup of Air Max shoes. Fabric: Body: 100% polyester. Rib: 100% recycled polyester.